← I want one of these! This week, Detroit hosts the annual North American International Auto Show so I thought it was an opportune time to do a post on American cars. The biggest consumer product purchase most Americans will make in their lives is a car. Sure, if you are a member of the 1% you might be buying a big boat while if you are a member of the 0.01% your might be buying a jet. But for most of us shelps, the apex of our consumer careers involves buying a car. So if you want to make sure that purchase supports the members of extended American family who actually manufacture cars, you need to make sure you are buying an American car. Which begs the question, what is an American car? Like most things, the answer is a bit more complicated than you would think at first glance. When most people think of American cars, they think of the Big Three: Ford, GM and Chrysler. Ford’s headquarters is in Dearborn, Michigan, a suburb of Detroit. Ford employs 76,000 American workers making Ford and Lincoln vehicles in this country at seven assembly plants. Ford also makes a lot of the parts for its cars and trucks in this country. Growing up in California, we had a convertible Ford Mustang, which might be the coolest car we ever had. Today, Ford Mustangs are made in Flat Rock, Michigan. Ford is proposing to hire 7000 new workers over the next two years. If I was in the market for a Ford today, the 2013 Ford Fusion would be my car of choice. The Fusion is a very stylish car that is available in a variety of engines including hybrid. GM is the world’s largest automaker, is headquartered in Detroit and employs about 50,000 members of our extended American family making cars in this country. GM manufactures Buick, Cadillac, Chevrolet and GMC cars and trucks at seven plants in the U.S.; GM also manufactures lots of its parts in different facilities in this country. After emerging from bankruptcy, GM sold Hummer and ended the long run of the Pontiac brand. Earlier this year, GM and the United Auto Workers agreed on a new four-year contract which included improved profit-sharing, promises of new jobs and better health care benefits for GM workers. Coolest GM product? Obviously the iconic Corvette that is manufactured in GM’s Bowling Green Assembly Plant has to be in the running. 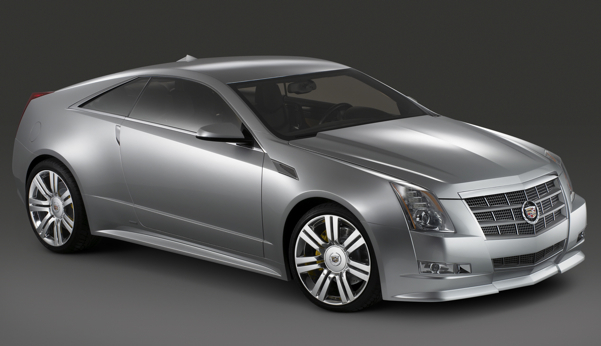 However if it was me buying a GM product today, it would be hands down the Cadillac CTS Coupe. It just oozes cool. Chrysler, whose cars are imported from Detroit according to its latest ad campaign, makes Chrysler, Dodge, and Jeep vehicles at 7 plants in the U.S. Chrysler makes all its models in Canada, Mexico or the U.S., while Ford and GM have plants in located around the globe. 26,000 Americans make Chrysler vehicles in this country. Chrysler and the UAW agreed to a new four-year deal this last fall. Since its return from bankruptcy in 2009, Chrysler has been managed by Italian automaker Fiat SpA. While it is tough to turn down the Dodge Charger, a car whose virtues are extolled by Dexter, my pick for coolest Chrysler product is the 2012 Chrysler 200 convertible. So if you are in the market for a car build by members of your extended American family, I suggest you evaluate the three models I have presented, or any of the other vehicles made in this country by the Big Three. Tomorrow, I will offer more vehicles for your consideration. However these cars are made by “foreign” domestic car firms. Is that even possible? This entry was posted in american made, Automobiles, Made in America, made in usa, shopping and tagged Chrysler, Ford, General Motors, Made in America, made in usa. Bookmark the permalink.